Adding a free GPS Tracker SIM makes it easy to get going when you receive your GPS Tracker. Our GPS Trackers require SIM cards because they function like small mobile phones - able to receive and send texts (e.g. locations) and allow for two-way calling. You'll look after your SIM credit yourself by logging into your own online account to top-up. 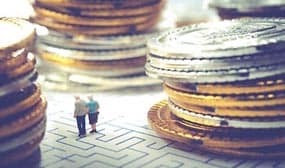 You won't pay any more fees or subscription costs to us whatsoever once you have purchased your GPS dementia Tracker and added the pre-installed free GPS Tracker SIM. You will just pay for your own SIM usage (the rates are outlined below). If you use about 5-10 texts (whether locations or alerts) a week, you'll only spend about £2 per month. It shouldn't cost more than £5 - we recommend starting with Pay As You Go credit, see how your usage goes in the first month, then switch to the £5 Goodybag if you need to. Our free GPS Tracker SIM is from GiffGaff, who use the O2 network. You can check the coverage here - remember you can use another network and install your own UK SIM (as long as its not with the "Three" network). …as an extra at the ‘Shopping Cart’ stage. It will then be pre-installed in your device. That’s it! You only pay for your SIM usage. If you’re going away, don’t worry about roaming costs! Online data - more than enough! How do I activate and manage my SIM? We supply a welcome sheet with a step-by-step guide to activating your SIM. This costs £10 which gets added as credit, but you’ll also get £5 free (so £15 in total – which could last for months). GiffGaff are an entirely third party site to us, we only pre-install SIMs for your convenience. You will create and manage your own online account with them (it takes just a few minutes to set up when activating the SIM). You can log in any time to see credit, usage, top up, change auto-renewal or switch to or from a Goodybag. Its all very simple and user-friendly, and we never hear of problems or issues. The only requirement with the pre-installed SIM is that at least one text (5p) needs to be sent every three months. If not, then you’ll have a chance to reactivate the SIM, but after a period of time GiffGaff may deactivate the account, SIM, and any remaining credit. If you have the £5 Goodybag set to renew every month, then the SIM will never be deactivated for lack of use – but then you should be using it a bit more anyway to justify using the Goodybag. What happens to SIM credit if I lose my GPS Tracker? In the unfortunate event that you lose or damage your GPS Tracker beyond repair (it seems unlikely but things happen), and you order a replacement, then your SIM number, credit and account can all be transferred to the new device. If you lose your device, you can register your SIM as ‘lost’ via your account to stop anyone finding and abusing it. Can it be used in any country? If you live outside of EU, you will need to find a suitable SIM card for your country. Please note if you are intending to use it in North America, Canada, Australia or New Zealand then you will need the 3G version. These places have very limited availability of networks offering availability for 2G devices. Another limitation is SIM network coverage – if you’re out in the middle of nowhere then your tracker will still get a GPS signal but it won’t have a chance of picking up a cell phone network signal – so there will be no way to text the information out. Most urban areas will be fine. What SIM do I need for another country? Its up to you to research the SIMs that are available in the country that you’re going to be using it in (if not UK or EU). 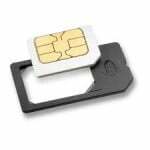 Make sure that its not a pure 3G SIM – the SIM cards should be 2G to work properly with the trackers, and micro size rather than nano. Your choice of SIM provider will depend on costs, associated fees, Pay as you Go vs contract deals etc. If you are going shopping for a SIM card in another country, you basically want to find the cheapest option, preferably Pay As You Go without any long contracts. The Tracker will primarily be used for receiving and sending texts – but you might also want to have call time as an option if the wearer might be using the SOS or call-out button. 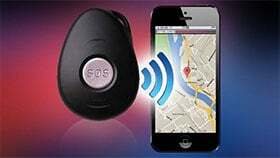 In that scenario, you wouldn’t be able to locate the GPS Tracker – texts won’t be received or sent. You will need to wait for coverage to return (if its a temporary issue) or swap to a SIM network that you know has better coverage for your area. The GiffGaff SIMs we supply free with the Trackers are with GiffGaff who use the O2 network. They generally have excellent coverage in the UK, but may have small blindspots in certain rural areas – you can check the coverage here. Please note that ALL networks are prone to the occasional ‘downtime’ if there is a temporary issue with a local mast tower for example. During these periods, your GPS Tracker won’t be reachable. Because this is always a possibility, you should never rely on a GPS Tracker for absolute safety e.g. by encouraging a situation that would be dangerous without one. They should be used as an assistance only. Please remember that the SIM network (GiffGaff, or whoever you happen to use) is a third party company completely separate from us. If you have any specific issues about your SIM card that are related to the network (e.g. credit, payment, lost or damaged SIMs, lost account information) then you should get in touch directly with the SIM company. Learn more about our Stray Star GPS Dementia Tracker: packed with features, pre-installed free GPS Tracker SIM card and plenty of great information, support and aftercare. You'll love its list of features.